How To Improve Advanced Search UX? Search is a method of finding required information from large contents. Basic search is based on a single parameter (usually name) that is used to find an item. Advanced search is a way to find something from a large list of items by specifying a criteria including multiple parameters. Mistakes are unavoidable in our lives. When a user is working on a product, it is very likely that he may stuck somewhere in response to his actions. Such kind of situations can be frustrating for user if not handled properly within product. It depends on the experience that product is providing to its users. Why You Need UI Guidelines? 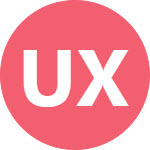 While working on UI design, few principles and guidelines are required to follow that help you design a standard and consistent experience throughout your products.